A new Chinese bike company has entered Nepali market, and is all set to change the stigma associated with Chinese motorbikes in general. 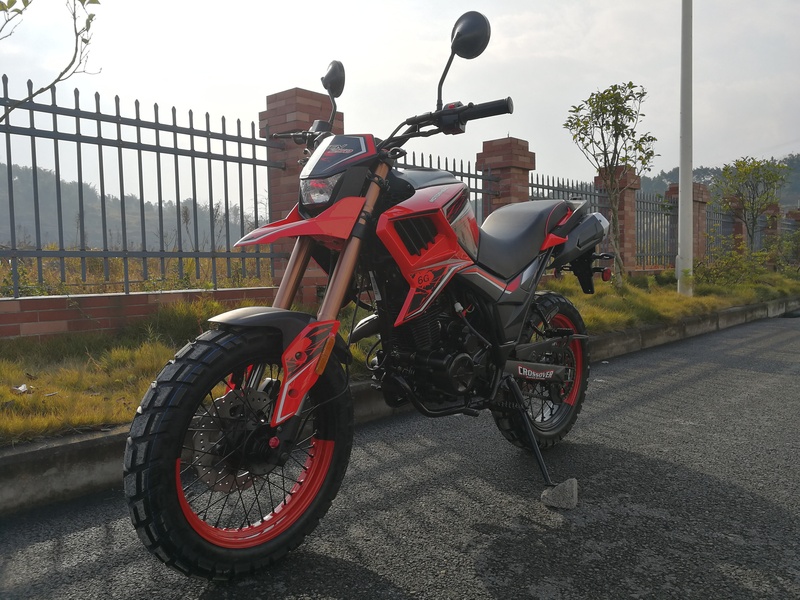 SLR Techno and Trade, the authorized distributor of Motorhead motorbikes for Nepal has recently launched two bike models, Tekken 250 and CRF 250. These bikes are creating a lot of hype on social media platforms, and are getting really popular among youngsters looking for a good bike at affordable price. The dirt model CRF 250 is a lean and tall dirt bike. The reason why the company borrowed the famous name remains unknown. The bike has a 223 cc engine that delivers a maximum power of 12.5 KW at 8,000 rpm and a peak torque of 17 Nm at 6,500 rpm. The engine is coupled with a 6-speed transmission. The design of the bike is quite simple, a typical dirt bike with lean body and chunky tires and a plastic body. A quick test ride reveals the true off-roading capabilities of the bike. The engine is powerful and nimble, and can take you on any terrain. There are disk brakes on both the tires to balance the powerful engine. The seat height is at 900 mm, which is quite common for a dirt bike. The fuel tank is of 6.8 liters. At Rs.310,000 this probably is the best dirt bike available in the market. Another model, Tekken 250, is the one that is gaining a lot of popularity. Tekken 250 is a dual-purpose bike, meaning it performs equally on-road and off-road. It appears like a naked street bike at first glance, but a close look will reveal its off-road prowess. The first noticeable thing about the bike is its chunky tires. The thick tires give the bike a muscular look and a bold stance. There is a 110/90-17 thread tire on the front and a 130/80-17 thread tire on the rear. The tires alone give you a sense of stability and confidence. Both the tires come equipped with disk brakes for better stopping power. The tires are good enough to take on any terrain; the only issue with the tires is that they are not tubeless. The design of the Tekken 250 is unlike any motorbike available in the Nepali market. It subtly combines street and off-road characteristics, and the result is a very cool-looking dual purpose bike. The plastic body doesn’t look or feel cheap like other Chinese bikes, it seems quite sturdy and well-built. The bike doesn’t only look stylish, but is also comfortable to ride. The handlebar is wide, and it makes it easy to maneuver the bike. The seat height is at 820 mm, and the wheelbase of the bike is 1,350. The ground clearance is at 260 mm, making it high enough to venture out on all terrains. Tekken 250 is powered by a 223 cc engine that delivers a maximum output of 12.5 KW at 8,000 rpm and a maximum torque of 17 Nm at 6,500 rpm. The engine is mated with a 6-speed transmission system. The exhaust is under the seat, and is a double muffler with steel muffler pipe that looks attractive and adds to the rear profile of the bike. The digital meter displays the speedometer, trip meter, fuel gauge, number of gear, and there is also a digital clock for convenience. The only issue with the bike during the test ride was the high levels of noise and vibration. Even in sixth gear on a smooth black-topped road, the bike didn’t feel very smooth. If you can sacrifice the smoothness for a better off-road performance, Tekken 250 is just the right bike for you. The bike is priced at Rs.350,000 which is the introductory price and will go up soon.